The Empire Ears Spartan IV is a hero of neutrality. As the website puts it, Spartan is all about discipline and self-denial. Its philosophy is one of uncolored, accurate tuning. 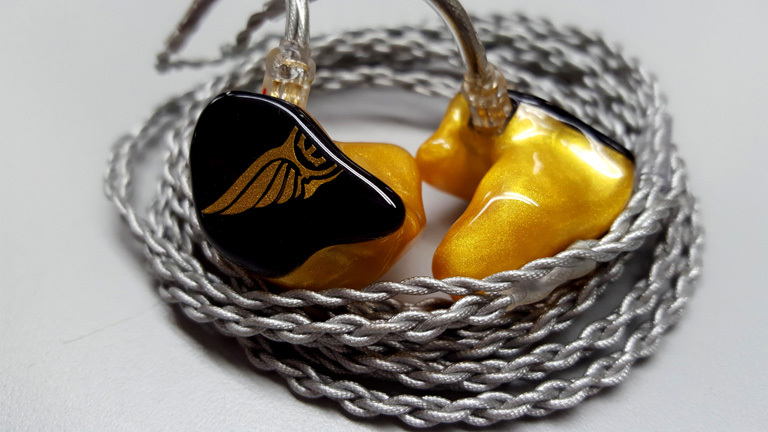 Indeed, I cannot call these IEMs warm, or bright. Either characterization feels like a lie. Spartan is neutral. It’s possessed of such air as to create an effortless realism. You get the sense you’re breathing the same oxygen as the musicians, in the same room. The first thing that struck me was the vocals; they are phenomenally transparent. They hover there in front of you, with weight and density, yet an entire universe persists beyond. You feel as if you could walk right through them and explore that new world, full of song and wonder. Articulation is stellar. Details flourish in every lyric or strum of the guitar. The mids have a rich, wholesome timbre, while remaining markedly uncolored. Warmth exists when the recording contains it, and Spartan handles this with skill. Spartan has such beautifully extended, pure highs. They are smooth and resolving, lacking bite or glare, yet rendering finite details with ease. The treble has the slightest sense of warmth to it, discouraging bright or fatiguing elements, but without losing that light and air. Violins sound honest and sharp, yet never take you to an uncomfortable place. Even something like the sharp drum-strikes in Metallica’s Master of Puppets manages not to offend the ears. The bass is neutral. The correct type of neutral, where the lows are not lacking in any way, but are simply not exaggerated. Now, you know I love exaggerated bass. My preferred signature has a hearty lift down low. Still, Pinky is capable of admiring the mastery of Spartan’s tuning. It does its thing so well I don’t find myself longing for a warmer, bassier profile. Spartan is an experience too delightful to spurn over so petty an issue. Not to mention, Spartan’s bass is technically brilliant. It reaches some impressive depths, and hits with tight, forceful punches, showcasing speed and detail. Texture and tone are above average for a Balanced Armature, and there’s some satisfying bloom which really fills out the music with a realistic degree of warmth. The piano in Black Sabbath’s CHANGES generated so much sub-frequency resonance I had to remind myself this was Spartan and not my U12. Spartan’s soundstage is quite big, with very nearly equal dimensions in width, height, and depth. Its depth, particularly, is impressive, helped along with top-tier layering and separation. Imaging is about as good as you’ll ever find, conveying a seemingly infinite variety of positions, depending on the needs of the song. 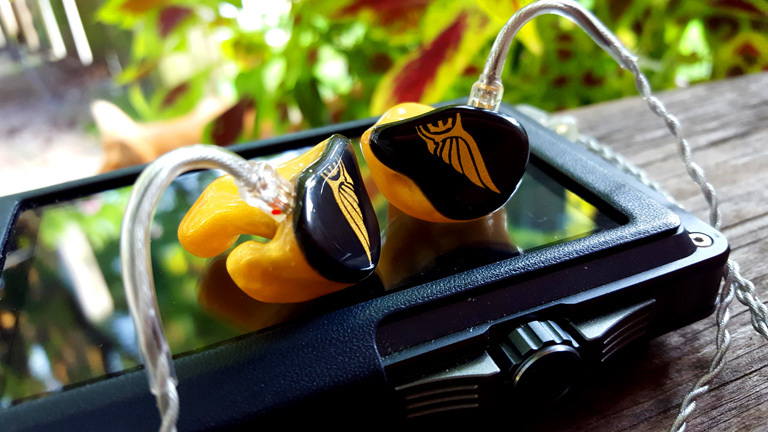 Spartan achieves a level of resolution that makes you snigger at the driver war, and the prices of those $2000+ IEMs. It’s a serious performer, with some of the best transparency I’ve heard. Right off I must compare this to Noble Audio Kaiser Encore ($1,850). And goddamn it is a righteous battle. These two share mostly the same signature. They’re both very neutral, with an elegant balance of warmth and lots and lots of air. I hear Encore as having the denser, more tangible sound, though. Spartan is kind of thin and ethereal. Encore’s treble is the major deviation. It’s a little more prominent, lacking some of that warmth Spartan uses to sound easy and natural. Encore has a bit more energy in those highs. It’s also thinner, and cooler. There’s a brightness which Spartan shies away from, and it does aid in Encore’s detail retrieval. I would not call Encore harsh, but I could see some feeling it is, especially if you’re used to a more relaxed, warm treble. All in all, I’d call Spartan’s upper frequencies as having a more natural timbre. Encore and Spartan possess large, vivid vocals, rendered naked, with every detail and texture highlighted. They both achieve a marvelous transparency which is nigh unto the best in the industry. Encore, however, is indeed clearer by a small margin. It’s just that extra inch more resolving, exposing those details just a little better. Note weight seems about the same, though Spartan has an ounce more warmth. While Encore is clearer, I think Spartan is just as transparent. I’m not sure how far you can separate clarity and transparency, as they seem tied closely together, but I hear them as two different qualities, and somehow Spartan matches (or nearly does) Encore’s amazing transparency. Let me assure you, that is high praise. Bass is one of Encore’s more peculiar aspects. Like with Spartan, it’s measured for neutrality. Yet Encore has less mid-bass, and thus overall warmth is reduced. Spartan sounds a tad fuller down below, its lows adding natural warmth to the mids and highs. Encore’s bass is exquisitely nimble, and even more textured than Spartan. It has great depth, and good, controlled impact. Yet Spartan rumbles in a more satisfying manner, and may even reach deeper. As I said, Spartan’s soundstage is impressive, but Encore is bigger. Wider, for sure, but maybe not as tall, and I do think Spartan portrays depth in a more 3D fashion. Encore bests Spartan in resolution, hands down. The image is so sharp and realistic you know exactly where each string on the guitar is, like you can reach out and pluck them yourself. Encore’s separation is just a bit higher, thanks to its sharper, more resolved stage. Spartan gets you about 90% of the way to Encore’s performance, and for much less gold. And it does some things I like better, such as treble tone and bass quantity. Still, it’s clear Encore is TOTL in this profile. But hot damn, Spartan puts up one hell of a fight. 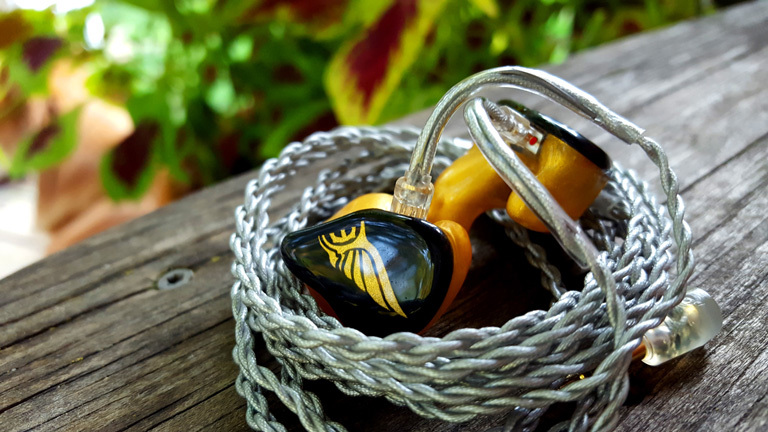 Campfire Audio’s Jupiter ($799) is not as neutral as Spartan. In fact it has a gentle V-Shape sound. 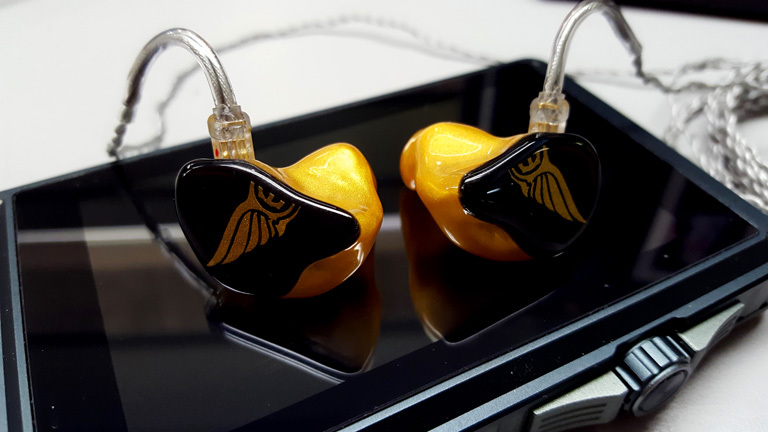 But I put it high on my list of detailed, high-res IEMs, and since it’s also priced within range, it makes for a great comparison. Like Spartan, Jupiter has a good balance of warmth and air, though I do classify Jupiter as crossing that line into genuine warmth, not just hints of it. As such, it loses out to Spartan in the clarity department. Jupiter’s treble is achieved with CA’s unique TAEC system (Tuned Acoustic Expansion Chamber). This gives the highs a thick, sweet sound, with quite a lot of sparkle. It’s fun and lovely, but not as natural-sounding as Spartan. I can’t say which extends farther, as both do a fine job of that. But Jupiter’s high frequencies do seem delightfully large, and tall. Compared to Spartan, Jupiter’s mids are smaller, taking a step or two back on the stage. They’re also thicker, and much less clear or transparent. Campfire’s extra warmth is apparent here, giving Spartan the edge, with vocals that come across as significantly more vivid. Jupiter almost sounds like it has a veil over it, which just goes to show how clear Spartan is; I’d never have said that of Jupiter when compared against most IEMs. Yet even in detail retrieval—Jupiter’s greatest strength—Spartan dominates the field. Jupiter, it appears, simply can’t keep up. Bass response is heightened in Jupiter, with noticeably more quantity. They both enjoy good fullness, and a wonderful blossoming effect which adds beautiful timbre to the notes. It’s hard to say which does it better, but I’m inclined give it to Spartan as I think it rumbles deeper, and manages to do so without coloring the whole presentation. Honestly, though, it’s a matter of preference. Jupiter’s soundstage is one of the tallest I’ve heard, but Spartan is wider. Depth may be equal here, but Spartan layers itself in a more holographic way. Add to that higher resolution and much better transparency, and Spartan feels like it’s in a whole other league. Imaging is quite good on both, though separation once again goes to Spartan.